Superstar Salman Khan and Katrina Kaif’s latest collaboration, Tiger Zinda Hai has successfully completed its 7 weeks journey at the box office. Despite having recently released biggie Padmaavat in the opposite, this action thriller showed steady performance in the 7th week. Directed by Ali Abbas Zafar, Tiger Zinda Hai is the sequel to 2012’s blockbuster Ek Tha Tiger and his second collaboration with Salman after the blockbuster Sultan. 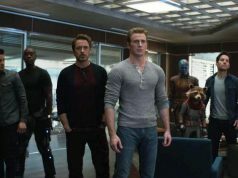 Due to solid star power, huge buzz and high recall value, the movie opened to a massive note and remained strong throughout. In the seventh weekend, Yash Raj Films’ presentation remained almost steady and did the business of 0.60 crore, that included 0.15 crore of Friday, 0.18 crore of Saturday and 0.27 crore of Sunday. Then in weekdays, as usual, the movie witnessed drops in footfalls but still got a considerable response. 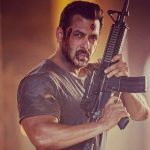 On 7th Monday, Tiger Zinda Hai minted the amount of 0.08 crore with a drop of 47% than last Friday. With almost similar pace, it bagged the amount of 0.07 crore on 7th Tuesday, 0.07 crore on 7th Wednesday and 0.07 crore on 7th Thursday. With this, the total collection of Salman starrer has become 339.08 crores at the domestic box office. 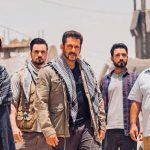 In last 6 weeks, Tiger Zinda Hai raked the business of 338.19 crores on an overall excellent note that included 206.04 crores of the first week, 85.51 crores of the second, 27.31 crores of the third, 10.89 crores of the fourth, 5.81 crores of the fifth and 2.63 crores of the sixth week.